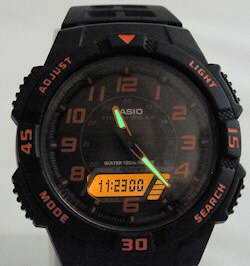 The Casio AQ-S800W-1B2VEF watch is packed full of technical features. 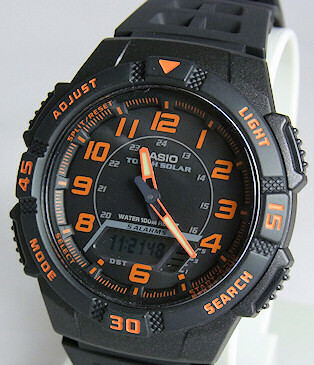 This model features Tough Solar Movement so you will never need to buy new batteries, and is also 100m water resistant. 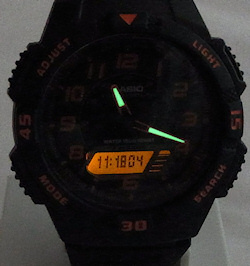 A Light-emmiting diode (LED) is used to illuminate the watch face. 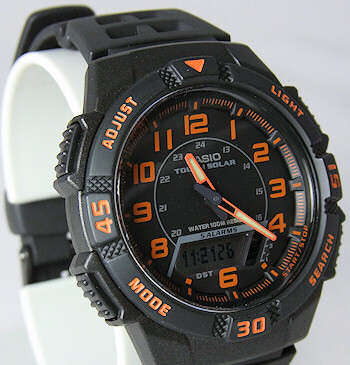 This model also includes a Stopwatch and has a World Time function and has 5 Daily Alarms. 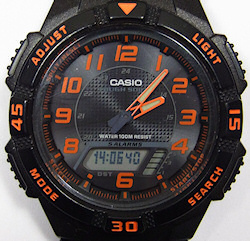 Not forgetting the Casio AQ-S800W always looks good under that business shirt, casual or at the beach! These don't hang around...What a Great Watch! 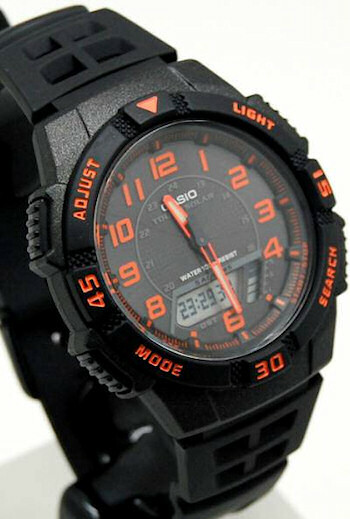 A real cool and different outdoor adventure watch. 2 timers - 5 sec. - 100 minutes. Resin case and Resin band Synthetic resin is the ideal material for wrist straps thanks to its extremely durable and flexible properties. 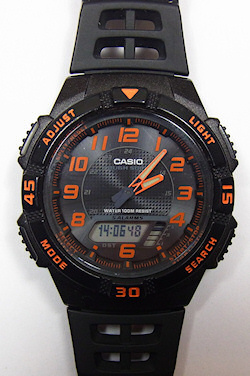 This superb Casio Sports watch is very stylish and multi-functional and something a little different from the normal watches we see, stand out from the crowd with this great watch.